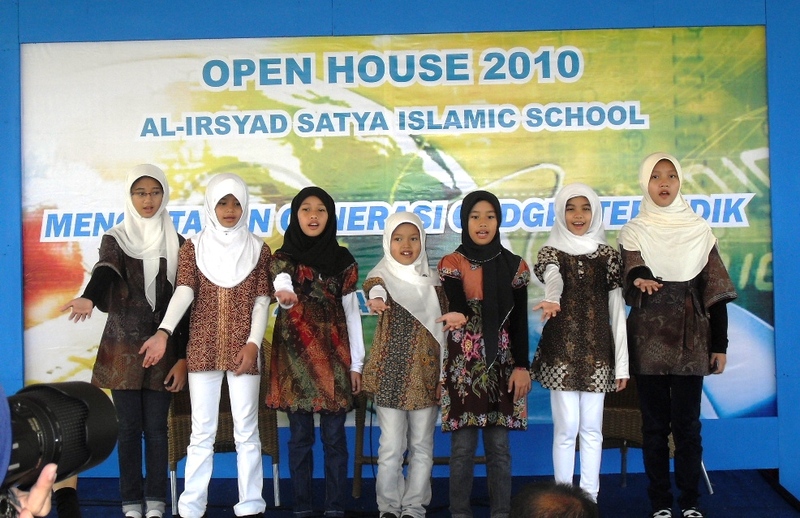 It’s been on several occasions that some girls (especially) from our school, Al Irsyad Satya, came forward and sing songs in front of public/audience. So far, their performances have been spread to school event and competition. 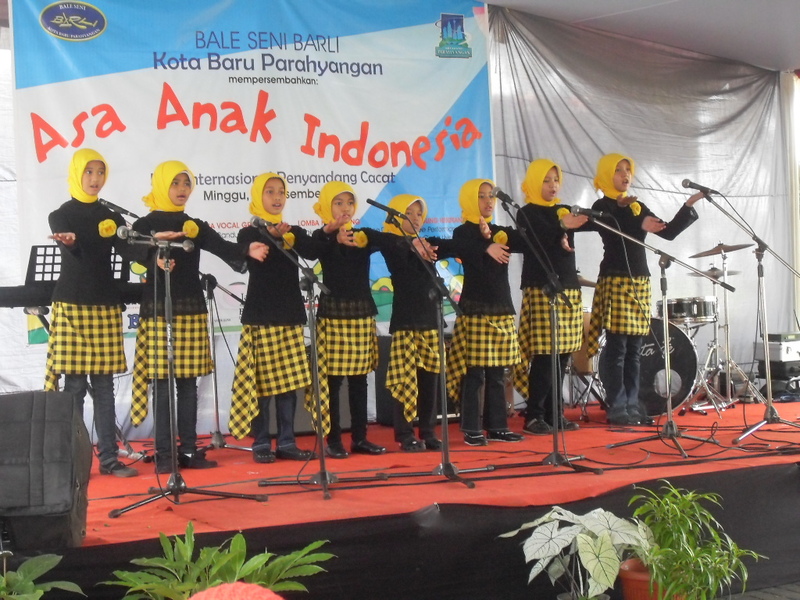 The latest performance of them were when they sang Indonesian national anthem, Indonesia Raya during the procession of graduation of P6 and Sec 3. They sang the song with variation of dynamic, and lead by a conductor among them. They were so fussy about the outfit they’re wearing for that occasion, which finally decided to wear their complete school uniform. End of discussion. On the previous occasion, I just put on some make up on their face. Nothing too glamorous… It’s just a layer of powder to make their face less shiny and a transparent lip gloss on their lips. That’s it! But they, the P4 and P5 girls were sooo hard on refusing it. They said that they can’t sing naturally with the lip gloss on their lips. Haha…! Performing in a singing competition. In another occasion, they have to put on full make up on their face, plus a set of beautiful costume to performed in a singing competition. They practiced a little, they were tired after returned home late from a trip to Bogor just the previous night. I call them Cinderellas, who just changed from the ugly Ella 😉 Their potential on singing can be polished to make it better, much better. Right, my beautiful singers? This entry was posted in student's works and tagged Al Irsyad Satya, beauty, competittion, music, my students, Primary, song, trophy. Bookmark the permalink. ms.. why you’re calling us ‘Cinderella’?? ?